MatTek’s EpiOral tissues consist of normal, human-derived epithelial cells. 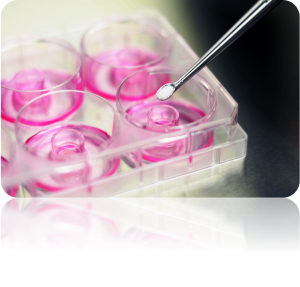 The tissues, which are cultured on specially prepared cell culture inserts using serum free medium, attain levels of differentiation on the cutting edge of in vitro cell culture technology. Morphologically, the tissue models closely parallel native buccal human tissues, thus providing a useful in vitro means to assess irritancy, disease and other basic oral biology phenomena. Learn more about EpiOral.